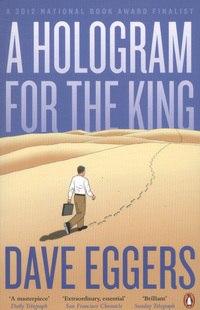 Coming across as a 21st century hybrid of Waiting For Godot and Death Of A Salesman, this excellent novel from the wonderful Dave Eggers is a masterful look at globalisation through the eyes of Alan Clay, a fat, balding 54 year old who’s made and lost several fortunes and is now staring at going broke for the final time. He’s in Saudi Arabia fronting a group of IT consultants who are there to try to sell the King a new IT product that they hope he will use for the city that he’s building, making them all wildly rich in the process and solving Alan’s financial problems forever. The thing is, the King’s security is so tight and his schedule so erratic that no one has any idea when he’s actually going to turn up to see them, so all they can do is wait. And wait. And wait. With his usual combination of deft insight and magical prose, Egger’s describes the arid landscapes of Saudi Arabia beautifully, and effortlessly conveys the sense of languid torpor that his characters sink into during their endless stay in the desert. Alan Clay is a fascinating character study of a man left behind by the march of progress, a Willy Loman for our times. This book is a great page turner, packed full of witty social commentary and pitch perfect dialogue. It’s a razor-sharp look at the effect that globalisation has had on the world of international business, and also a stark and timely reassessment of the true place of the United States in the new economic world. ← Looking for some winter reads?